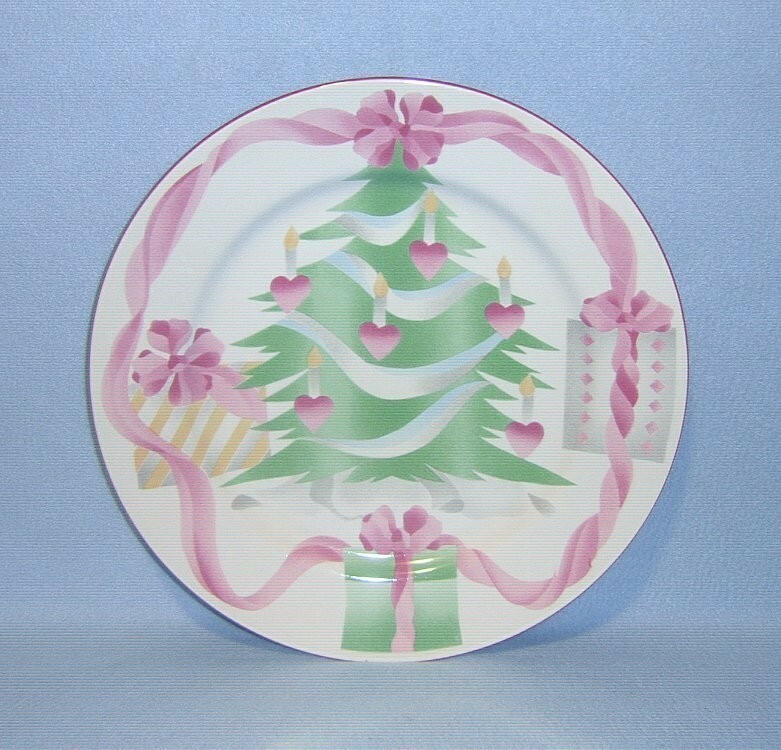 Sango - Home for Christmas 4829 - Round Platter / Chop Plate White Porcelain with Christmas Tree Decorated with Pink Hearts, Candles Garland Surrounded by Wrapped Packages on the Rim with Pink Ribbons. 1 Round Platter 12 1/8" in diameter. Great for Holiday Decor or Christmas Gift. 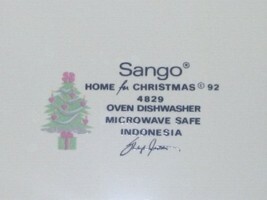 Excellent condition with no chips, marks, stains or crazing. A very few very light scratches. Package Weight: 3 lbs 9 oz. Please see my shipping policies for more information about services used and both domestic and international rates. Visit my booth for China, Stoneware, Glassware, Collectables, Books, Patterns and More.